The Fish and Wildlife Service facility in Oregon occupied for weeks early this year by militia members remains closed indefinitely as officials assess the damage and investigate the crimes committed. Another nearby facility, however, reopened on Wednesday. The Forest Service Emigrant Creek Ranger District office in Burns, Ore., closed as the militia members took control of the FWS facility in early January out of safety concerns for the employees who work there. Individuals sympathetic to the occupiers’ anti-government crusade reportedly harassed federal employees in the area during the stalemate. When the occupation of the Malheur National Wildlife Refuge ended earlier this month, FWS Director Dan Ashe warned anyone attempting to threaten feds that there would be consequences. The Malheur facility will remain closed for “some number of weeks,” the FBI said after arresting the remaining occupiers Feb. 11. The Forest Service office reopened Wednesday after closing for seven weeks. Thirty-six employees report to the Emigrant Creek Ranger District facility, some of whom were forced onto administrative leave during the closure while others were able to telework. The Forest Service spends $31,000 each week on salaries for those who work at the Burns office. A Bureau of Land Management office near the FS and FWS facilities also closed in January, but reopened Feb. 9. BLM spent about $585,000 paying employees not to work during that stretch due to various threats against its workforce. 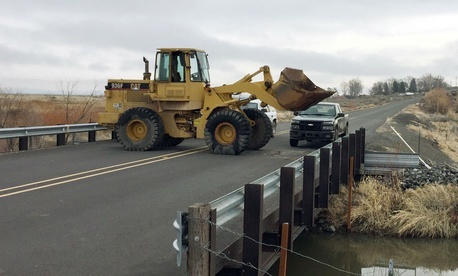 An FWS spokeswoman declined to provide an estimate on the costs incurred by the agency during the occupation or any details of the cleanup effort and when the Malheur facility might reopen, citing the ongoing investigation.